Rainbow Trout fishing is one of the most thrilling fishing experiences an angler will ever have in his lifetime. The Kenai River is a trout fishermans paradise! Fish over 30 inches are not uncommon. 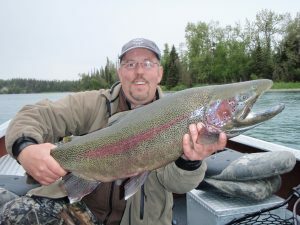 Rainbow Trout fishing is allowed on Mondays on the Kenai River. This is an advantage for the angler as this is a day that the Kenai River is closed to Salmon fishing from a boat. The Kenai River is simply a world class trout stream. 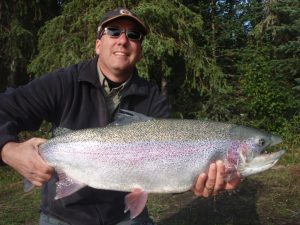 The Rainbow Trout on the Kenai River are world renowned. 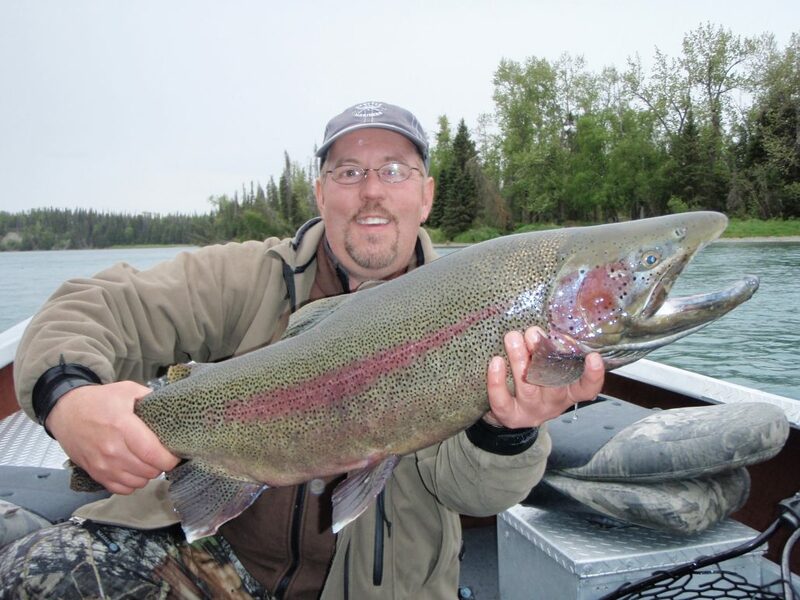 The Kenai River produces some of the largest rainbow trout in the world. These fish average 12 to 18 inches. Fish weighing in at 6 to 10 pounds are caught daily. It is not uncommon for my clients to catch 100 fish on an all day charter. Rainbow Trout season opens on June 12th and runs through the end of October. On these charters you will also catch Trophy Dolly Varden and Arctic Char. All of our Trophy Rainbow Trout Charters are catch and release. With a few measurements and a great photo or two a talanted taxidermist can reproduce the beauty of your catch. August through September these charters can be combined with the Silver Salmon Charters. This makes for action packed fun fishing on the Kenai River. Last year the largest Trophy Rainbow Trout landed was in the 25 pound weight class. The bragging rights on this fish are lifelong. Your Trophy Rainbow charter will begin at Bings Landing an Alaska State Park. We will launch from here and head up river to the untouched beauty of the Kenai National Wildlife Refuge. Beautiful scenery, abundant wildlife, and many large fish will guarantee a day of fishing that you will never forget. You may even see a bear or two. I use a variety of fishing techniques to land the elusive Trophy Rainbow Trout. We will fish with a variety of hand tied flesh flies, hand painted beads and also a few diving plugs to accomplish the task of landing the big one. Early in the season I may do some sight fishing on the shallow gravel bars. Later in the season I will fish in deeper salmon spawning grounds. These Rainbows thrive in these deep spawning areas where eggs are abundant. 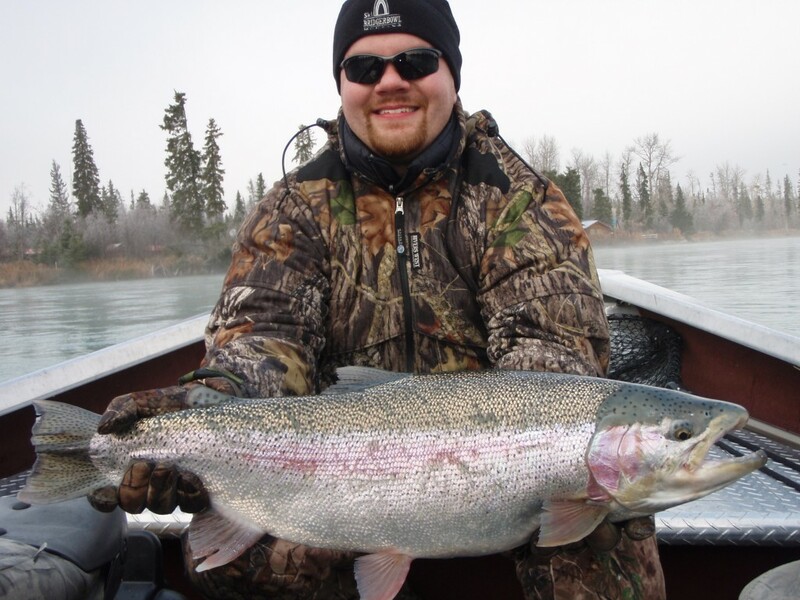 Contact Wet & Wild Alaska Fishing today to book your Rainbow Trout fishing trip of a lifetime!